Who Gets To Build Ljubljana Stadium? So, apparently we’ll know for a fact today who will win the bid to build the footbal stadium in Ljubljana. A story which began in late 1999 when then-mayor Vika Potočnik blurted out the promise to build a new stadium in light of successes of Slovene footbal team (which had then just qualified for Euro 2000, against all odds), might at last get a move on. But truth be told, I’m not really holding my breath. Yes, we’re marginally closer to getting a stadium than we were a year (or ten years ago) and yes, Mayor Janković did a lot to breath life into the project (it is afterall central to his political platform) and the project he proposes seems to be sound: The municipality will sell the land to whoever bids the highest and this investor will then build a shopping mall for himself and a stadium and a sports hall for the city (we’re still waiting for the details, though), but as long as I’m not seeing the mayor kicking off the game (as he promised he would do), I’m not buying the tickets. EDIT: In the end the job went to a consortium of Gradis construction company and retail company Merkur for a total sum of € 81 million. SCT bailed out just before the deadline, as did four other potential ivestors. The only other bidder was Red d.o.o., a consortium of the infamous Jurij Schollmayer and a group of Dutch investors. Schollmayer and Merkur crossed paths some years ago when former sold his limping Big Bang stores to the latter, which turned out to be one of the worst deals Merkur ever made, spending a lot of money to get Big Band out of the red and pay outstanding debts. 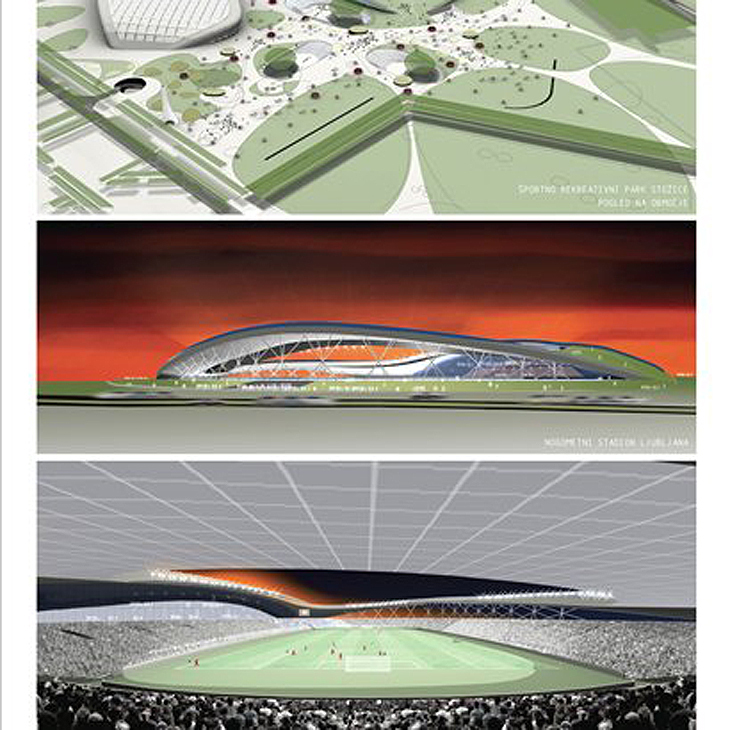 Posted on February 28, 2008 February 28, 2008 Categories Ljubljana18 Comments on Who Gets To Build Ljubljana Stadium? One person was detained yesterday in Maribor by the criminal police on charges of tax evasion. According to reports by Finance business daily the person in question is Rado Snežič (edit: According to today’s Dnevnik, Rado Snežič is abroad and the person detained is his second-in-command), owner and CEO of Meltal, a company dealing in scrap non-ferrous metal. This may or may not be connected to Operation Clean Shovel, but the proximity of two events suggests at least a moderately strong link. Kolonel post-box (source) and Rado Snežič w/wife (source). Now, Rado Snežič could just be a wrong man and a wrong place at the wrong time, but as he apparently holds more than just tangential connection to Laško Brewery, the whole “war on tycoons” declared by PM Janez Janša during the vote of no confidence is begining to take on shape and form. And the main target right now seems to be Laško’s Boško Šrot, who broke Janša’s influence on Delo daily and got hold of Mercator retail chain in the process, swindling Janša big time in the process. But is this really a war against tycoons or is the prime minister simply holding a grudge and looking to score some cheap political points? Posted on February 27, 2008 February 27, 2008 Categories Slovenia25 Comments on Laško In Crosshairs? So, we’ve got two new polls as of a couple of days ago. One by Večer daily and one by Ninamedia, each very different from the other. And while Ninamedia’s poll keeps within the broad trend shown by the other polls, Večer’s poll shows a staggeringly different result. The thing that stands out the most with Večer poll is a large percentage of the undecided vote – even larger than in the Parsifal poll taken a week ago.Funny thing is, though, that both polls (Večer and Parsifal) show a similiarily high percentage of undecided voters and correspondingly low numbers for the two main rivals: Janez Janša‘s rulling Slovene Democratic Party (SDS) and Borut Pahor‘s opposition Social Democrats (SD). Furthermore, the SDS has a slight lead over SD, which is another similarity with the Parsifal poll. And if you look at the Episcenter poll, you’ll notice that this poll too records a lead of SDS over SD but a very low number of the undecided vote – very much like Ninamedia, which has the lowest number of undecided voters since this blog started summing up the polls (three weeks ago). Pengovsky’s projection:: Obviously the two main conteders remain the same and I suspect that as time passes the battle between SDS and SD will turn into a battle between Janez Janša and Borut Pahor. Further down the poll the nationalists seem to be comfortably running circles around the 5% mark, but we’ll see if Sašo Peče will steal the limelight as he and his renegade nationalists will officially form Slovenska lipa party on March 1. Another duel to watch is of course the LDS/Zares thing, where the latter seems to be ahead on the whole, but differences between the two parties are minimal. Given the peculiarities of Slovene voting body, I still think all of the polled parties will make it across the four-percent-treshold. Slovenia remembers the late Janez Drnovšek today with a day of mourning. Former President Janez Drnovšek died last night. He has infulenced Yugoslav and Slovenian politics profoundly, giving a stellar perfomance in a relatively short period of time. He entered the top level of Yugoslav federal politics in 1989, seemingly coming from nowhere, although he has served as a deputy in Federal Assembly and as an economic advisor to the Yugoslav embassy in Cairo, Egypt. But as he kept a low profile, he was a complete anonymous to general public which elected him as the Slovene member of the federal Presidency over the candidate preffered by the Communist Party. This was to become a defining moment both for Slovene democracy and for Janez Drnovšek, who by a twist of faith became the first member of the Federal presidency to take over a year-long rotating mandate in 1989. While in office he presided over the start of dissolution of Yugoslavia, rise of Slobodan Milošević and emergence of democracy in Slovenia and Croatia. During his tenure as President of the Presidency he saw up close what Slobodan Milošević and the Yugoslav National Army were up to. The drive for an increasingly centralised federation with Serbia as the dominant entity drew the other republics, most notably Drnovšek’s native Slovenia to implement democratic changes and seriously start exploring the possibility of a future without Yugoslavia. Upon assuming office he was also immediately faced with a problem which was to be solved ony shortly before his death. Kosovo. One of the most burning controversies at the time was whethet the Presidency and Drnovšek as its president knew of allegations of contentration camps for Kosovo Albanians. He would later (in 2005) be among the first Slovene politicians to claim that Kosovo was de facto independent. Janez Drnovšek was the first more or less democraticaly elected Yugoslav president and the first one to speak to foreign dignitaries in Slovene language. When the Non-Aligned Movement held its annual meeting in Belgrade in 1989, he opened the plenary session in Slovene, which was a gross provocation at the very least, as the question of language was at the centre of controversy during a show trial in Ljubljana where an obscure scribe who went by the name of Janez Janša was accused of high treason by the Army which would not allow the trial to be coducted in Slovene. The end of his tenure almost perfectly conicided with the first democratic elections in Slovenia, but Drnovšek continued to serve in Belgrade as Member of the Presidency (being succeeded by Serb Borisav Jović) and he kept an active role in trying to protect Slovene interests in Belgrade alongside Milan Kučan and Janez Stanovnik (the latter was replaced by Kučan as Preident of the Republic after 1990 elections). negotiated cease-fire with Yugoslav National Army which effectively ended the 10-day war. A year later, Drnovšek was co-opted by the Liberal Democratic Party (LDS) as its president. What all along seemed a marriage of convenience (Drnovšek needed a party and LDS needed a president) was a remarkebly successful enterprise, as Drnovšek was elected as a Prime Minister in 1992 by a broad coalition in a non-confidence vite which toppled the government of Lojze Peterle. Again, Drnovšek seemingly came from nowhere and – although hardly an anonymous this time arouns – he was there to stay. Serving three consecutive mandates as PM (1992 – 2002) he is to date the only PM not to have lost an election. During his terms as PM Slovenia was rapidly transforming itself from a planned- to a market-economy, a process that was not without its pains. Drnovšek inherited a work-intensive and a more or less non-competitive economy which saw a country-wide string of bancrupcies which exponentially increased the number of unemployed, a drop in productivity and a rise in inflation. But Slovenia was slowly showing signs of economic recovery, and – performing transition on its own terms rather than under an IMF dictate – within a couple of years the economic indicators were positive and Slovenia was showing all signs of a moderate economic miracle – long after all the other new European countries were paying a heavy price for quick liberalisation of the market and sell-off of state property. Far from being ideal, but it can be said that economic and social transition under the tenure of Janez Drnovšek has provided Slovenia with the “best of both worlds” or possibly a very close approximation. This would of course not be possible had Slovenia not had a coalition government, which Drnovšek additionally equally balanced by left and right-wing parties, positioning himself and LDS firmly in the political centre. This has led to frequent accusations of political opportunism, especially during 1996-2000 mandate, when Slovenia was faced with a political stalemate as the parliament was split right down the middle and Drnovšek got his shot as PM only after a deputy of Christian Democrats swithched his allegiance to LDS in what was to become known as Puckism (named after Ciril Pucko, the ratting deputy) and probably one of the more michevious political deeds of entire Drnovšek’s career. Because, although completely legal, the switch did leave a sour taste in the mouth of many, especially after Drnovšek (although nominated as PM) failed to get his initial cabinet elected and had to assemble an entirely different coalition to elect the cabinet. This also led to the rise of Slovene People’s Party (SLS) which became juniour coalition partner and has been a part of any ruling coalition ever since. The same SLS briefly toppled Drnovšek’s government in Spring 2000, only to see him re-elected by the widest of margins later in the year. In 2000 elections, LDS alone got more than 30% of the vote and a coalition with Social Democrats and (surprise, suprise) SLS ensured a 2/3 majority in the parliament – a luxury never before experienced in democratic Slovenia. But LDS was becoming increasingly self-involved, ineffective and even corrupt. The straw which broke the camel’s back was to take form of a luxury jet which the goverment was to buy and which was so badly communicated that everything that government PR did only made things worse – up to the point of pressuring state TV not to run a piece on the issue. It all culminated in Drnovšek’s address to party members at a congress where he demanded a stop to cronyism, nepotism and corruption within the party. But it turned out to be too little to late and the LDS was already on the path which would end in its destuction. 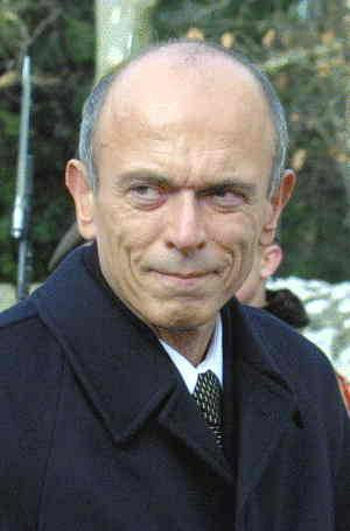 Drnovšek, however, after a long and very public period of sitting on the fence, decided to resign as PM and run for President as Milan Kučan’s second term ended in 2002. Drnovšek was elected President after defeating Barbara Brezigar (now General Prosecutor) in the second round. Upon assuming office he also assumed an unusually low profile. He executed his presidential duties with little flair and at times he seemed non-existent. All that changed in early 2006, as President Drnovšek announced that he is forming a Movement for Justice and Development, a non-governmental organisation aimed at bettering the human race. This coincided with a complete personal transformation of Janez Drnovšek who suddenly took on a more active, but also highly unconventional role of what was latter to become known as a “hippy president”. He claimed to have been cured of cancer (see below), shunned western medicine (only to re-embrace it later), he turned vegan and moved out of Ljubljana to a remote hill of Zaplana. He rejected materialism and started studying oriental philosopy. He also openly mocked current Slovenian politicans, keeping them jumpy prior to 2007 elections when he wouldn’t say whether he would seek re-election or not, and even admitted to be doing it just to see them twitch. In the end he didn’t run for office and was last seen in public in late December 2007 when Danilo Türk took over as President of the Republic. During his transfomative periods he also had a series of fall-outs with the government of Janez Janša, with whom he intially seemed to get quite along. Tensions culminated in 2006 when The office of the President was refused additionaly funds to continue Drnovšek’s foreign policy activities. Later that same year the anti-Roma crisis erupted in Ambrus and President Drnovšek led a convoy to help the Strojan Roma family at Christmas time, only to be blocked by a barricade whereupon he scorned the local population for its treatment of the Romas. In 1999 his spokesperson said that Janez Drnovšek has had a kindey removed due to malignant tissue. Drnovšek rarely talked about his cancer and save an occasional debate on whether politicians should present a clean bill of health before running for office, the issue was more or less left untouched. Only whishpers and roumors could be heard, mostly connected to the fact that there was a high-tech ambulance parked whereever Drnovšek was that his trademark moustache was gone due to chemotherapy and not just a change in style. It was only in 2006 that he admitted to have been diagnosed with cancerous metastases in his lungs and liver. At about that time he also publicly shunned western medicine and opted for the alternative approach, later even abandoning all treatments. He claimed to have been cured and although his behaviour was erratic at times he seemed in good spirit. It was only the fact that he looked more and more frail as time progressed (and he was not a corpulent person to start with) that gave away that he was fighting a losing battle. Janez Drnovšek, Ph.D., an economist by vocation, was one of handful of individuals who have shaped Slovenian politics in the last twenty years, and would easly make the list of top 10 Slovenians of the 20th century. Be it as a no-name thrown into a cessspool of Yugoslav politics, a highly talented PM who brought Slovenia back from the brink of economic collapse and transformed it into a sucessful new enocomy, as a statesman whose connections and acquaintances rivaled those of every American president or a popular leader who is was concerned with issued of enviroment and sustained growth and who brought the Darfur crisis to world’s attention, he set the pace and the tone of Slovenian and sometimes even international politics. Having had such an illustrious carrer, it is hard to single out one achievment that will outlast Janez Drnovšek for times to come. The obvious answer would of course be the creation of a sovereign Slovene state. But this humble blogger would like to think that the two things Janez Drnovšek should be remembered by are his speech at Teharje commemoration, when he in my opinion set the record straight regarding World War II and made the decisive step in national reconciliation and the fact that politics perhaps some day can be done in a different way. Not today, and perhaps not tomorrow, but some day. It is just a shame that a person must depart this Earth to show us that. Janez Drnovšek, 58, was an author of four books and is survived by a son and a daughter.